Hey, Y'all! 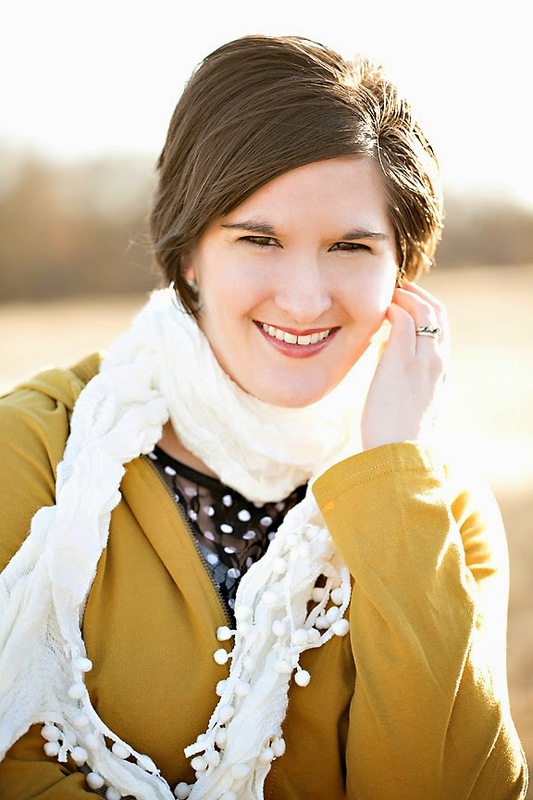 I'm Danielle from over at Busy Mom's Helper, and I'm so excited to be taking over Carrie's blog today (in the nicest way)! Although I originally was going to share a different recipe, our ripened-faster-than-we-could-blink bananas had their own agenda. And what's the best thing to do with overripe bananas? Bread, of course! 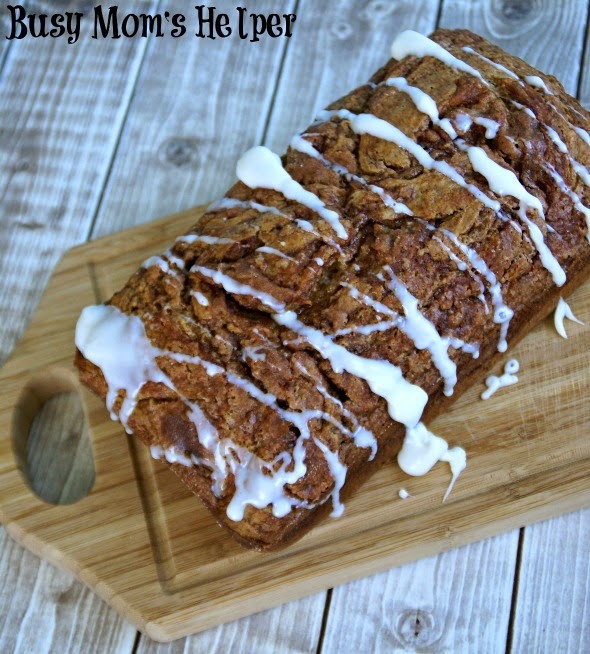 But this is a step BEYOND the norm...Swirly Cinnamon Banana Bread! Hubby was so excited when I mentioned making this (he was about to throw those dang bananas out...how dare he!). And guess what? The entire loaf didn't even last three hours. Yes, we shared with the kids (a little), but the rest we just downed ourselves. Yup, it's that good! I mean, just look at that cinnamon swirly! Preheat oven to 350 Degrees F. Spray or line a loaf pan, set aside. Place all of the ingredients (except the cinnamon swirly and drizzle frosting ones) into a large bowl and blend well. I recommend using a mixer instead instead of going by hand. Pour HALF the mixture into the pan. Mix the sugar and cinnamon together for the swirly. Sprinkle half over the mixture in the pan. Use a spatula to swirl it around and in. Pour the remaining batter into the pan. Top with the remaining cinnamon swirl and again, use a spatula to swirl it around and in. Bake for about 40 minutes, or until a toothpick inserted comes out mostly clean. For the drizzling: Mix the powdered sugar and 2 tbsp. heavy cream. Add another tbsp. of heavy cream until you reach desired consistency (I added 4 tbsp. total for mine). Drizzle or spread over bread. 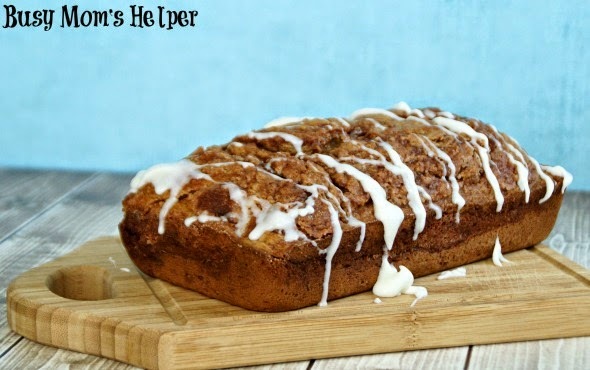 This Swirly Cinnamon Banana Bread will have you going back for more. And more, and....you get the idea! 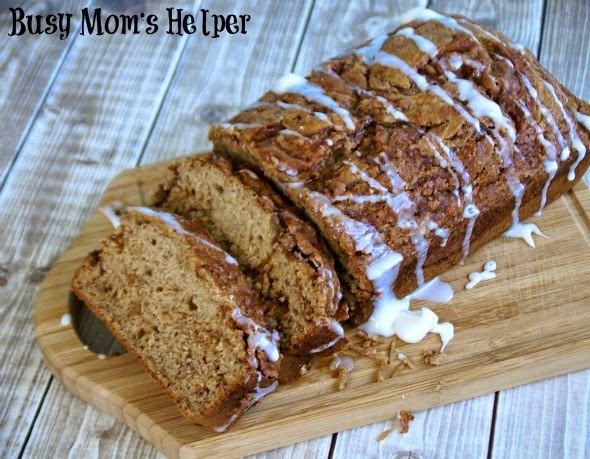 Yes, this is so delish, you'll be licking your fingers! Now go find some overripe bananas and get to bakin'!